Peabody Homes released further details a couple of weeks ago on plans for 3000 new homes, though I havn’t covered it yet – so better late than never eh? 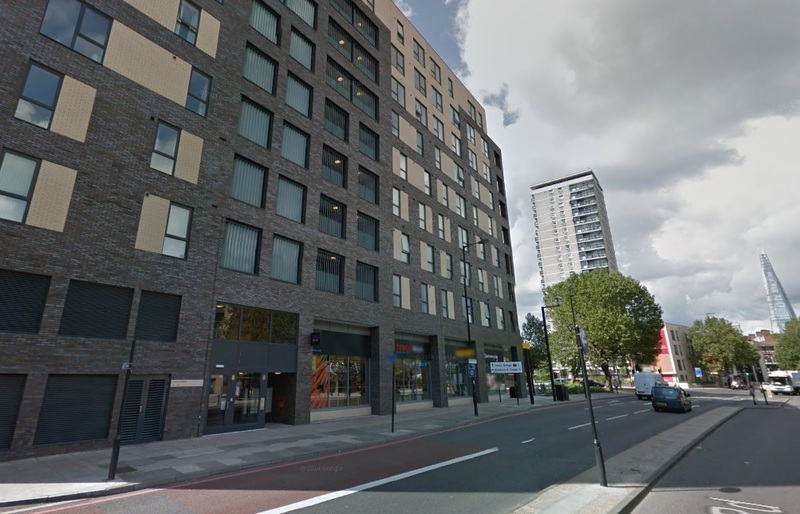 The plans are for large-scale house building in Thamesmead, Abbey Wood and Plumstead, and comes after two housing zones were announced for the area back in February. This is all very welcome news. The site is located very close to Plumstead station but currently used for industrial units, a bus garage and a drive-through Mcdonalds. I recently wrote about how the bus garage and industrial units could be re-located slightly east onto unused land nearby. Public realm improvements around the station are badly needed – it’s a pretty grim place to be. I just hope this isn’t a case of waiting nine years for something to happen when small interim measures can be taken now which would be easy and cheap to implement. We don’t need another case like the Abbey Wood station area – years of neglect as investment was supposed to be imminent, then when announced it mostly avoided the shopping area beside the station. Any opportunity for quick, cheap and easy improvements (of which there are many in Plumstead) should be taken. The shaded area also covers Broadwater Green just to the north of the one-way system, and Broadwater Dock beside the Thames. The information from Peabody states that housing will be in the area closer to the station and Broadwater Dock will see a new park. Given this is prime riverside land I would also expect some housing there. 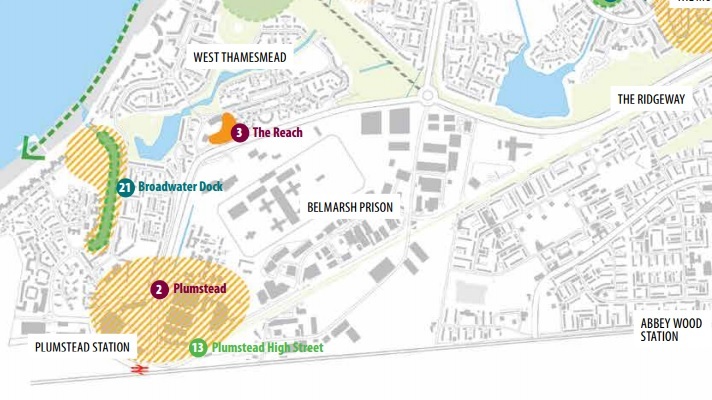 A smaller development is planned at ‘The Reach’ which is close to Tesco express and the Princess Alice pub in Thamesmead. With so much housebuilding the one-way system will hopefully be on its way out. This would be far from an easy job, as parts are elevated, but it nonetheless acts as a huge barrier. With alterations, high density housing could stretch on the north side of Plumstead Road from Plumstead station all the way to Woolwich Crossrail station. It would become a much more attractive and lively major route, the kind of which I wrote about last week and seen so commonly on the continent. High density housing and retail along this road in future? As shown above, the road is more than wide enough to accommodate high density housing. The area to the left is industrial units, and space exists slightly further east for relocation in an area unsuitable for housing. It’s not a stretch to see this street re-imagined with cycle lanes, wide paving, shops and housing lining the road. Thousands of new homes could be built along here, and all within 10 minutes walk to Woolwich Crossrail and Plumstead Southeastern stations with lines to various areas of London and Kent. Altering this road along with the one-way system would greatly aid connectivity. High housing density, similar to the new block in the foreground of the image below of Bermondsey, offer a good idea of the scale of housing that would work well here: Consultation has just commenced regarding the whole scheme. 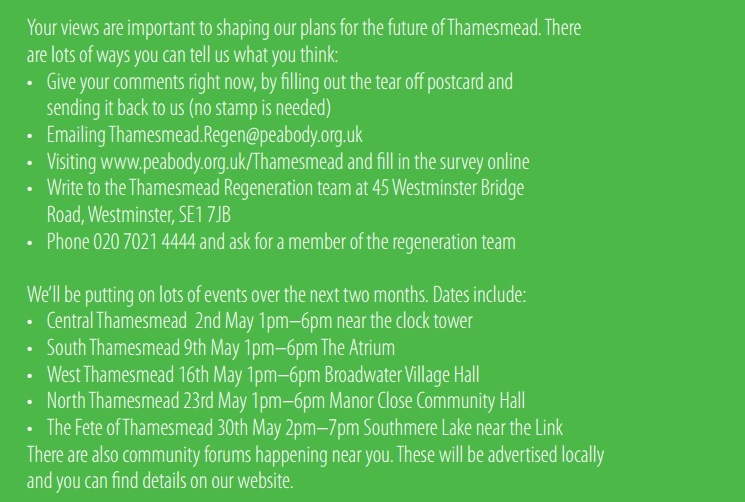 Very disappointingly, all the specified consultation events on publicity flyers occur in Thamesmead alone, despite the massive impact on Abbey Wood and Plumstead. There’s a vague mention of community forums below but no further detail seen anywhere that I can make out with consultation already in full swing. As some questions in the consultation ask whether people would like investment in one town or another, this is deeply unfair. Even the contact email address calls it ‘Thamesmead Regen’ when 900 homes are in Plumstead, and effects on Abbey Wood will be huge. It’s not good enough, and leads me to feel that some in charge don’t seem to understand there are three distinct towns, with different characters and needs. The confusion and fragmented political control and strategy for Thamesmead and neighbouring areas goes back many years. Don’t repeat the same mistakes for the various areas by lumping them all together. The area by Plumstead station is vastly different to 1990s Barratt boxes in north Thamesmead, and a good few miles away. 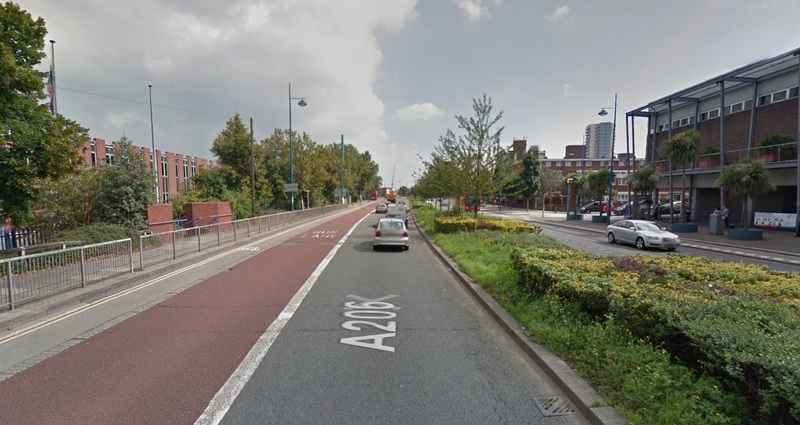 A follow-up post will look at plans in Thamesmead. There’s many homes planned there, but transport is key to unlocking them and finally making Thamesmead the place envisaged 40 years ago. But then again, with the Conservatives plans to extend ‘Right to Buy’ to Housing Associations, could this put the block on all these plans for improvements as Housing Associations are forced to sell homes cheaply, with finances greatly hampered as they can no longer borrow easily or cheaply to fund programs? Not only would it costs taxpayers billions more as housing benefit is paid to ever more private landlords (you can bet many sold HA homes will be buy-to-let in no time, like much council housing now is) but also badly affect long term planning.